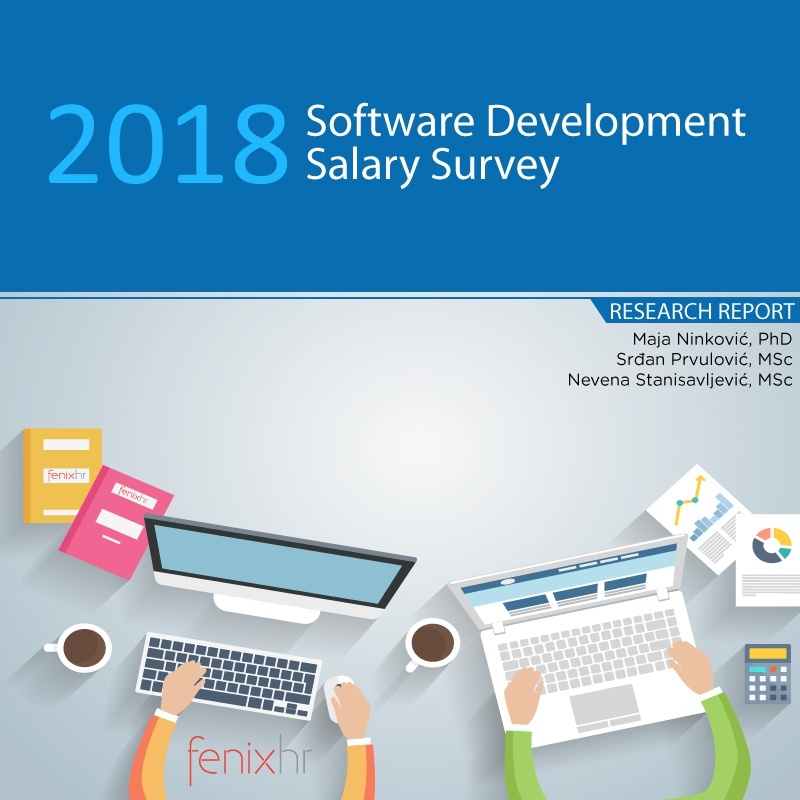 Our 2018 national Salary and Benefits in Software Development survey is starting in September and we would like to invite you to participate. Last year, 23 IT companies participated, reporting on 1646 employees in the 19 most common positions in the Software Development industry in Serbia* in three locations – Belgrade, Novi Sad and Nis. What is included in 2018 Salary and Benefits report? 1. Detailed analysis of the current salary ranges for 19 most common positions in the Software Development industry in Serbia*, indicating the min/max / avg./median and lower/upper quartile values on all 3 experience levels – Junior, Intermediate and Senior. 3. Overview of the national and local bonus and benefits practices, including direct and indirect financial incentives, perks and development opportunities. 4. Overview of salary trends for the past 3 years for all software developer and managerial positions. 5. Frequency of hiring developers as independent contractors. You can view the research contract here and sign up here to participate in the 2018 IT Salary and Benefits survey. Companies that confirm their participation by 31th July will receive 10% off the research fee. All of the data collected is confidential. The online survey will take less than 20 minutes and can be completed by a qualified member of your HR staff.